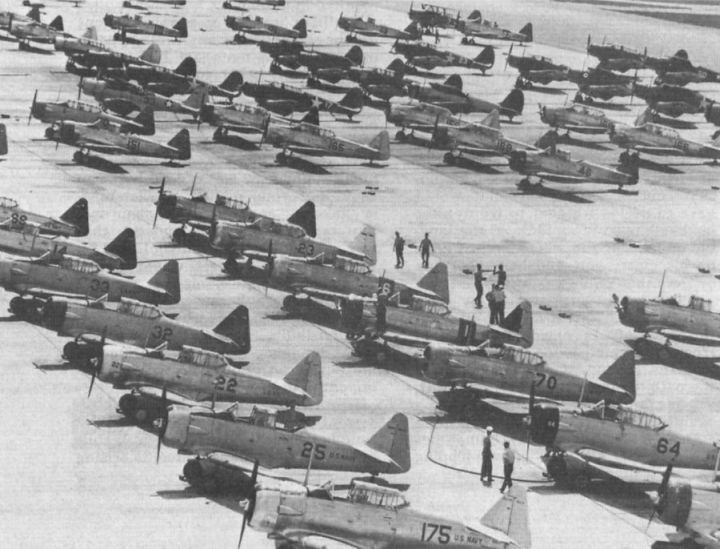 Basic trainers, mostly SNJs, at NAS Jacksonville early in 1943. The aircraft in the middle distance are Curtiss SNC-1s, a type which proved unsuccessful as a trainer owing to a tendency to enter a spin from a tight turn. SO3C-1 американской морской авиации, лето 1942 г. В варианте гидросамолета Seamew отличался одним главным поплавком и стабилизирующими подкрыльевыми поплавками. Обратите внимание на необычный способ перемещения части киля вместе со сдвижной частью фонаря вперед для открытия кабины. 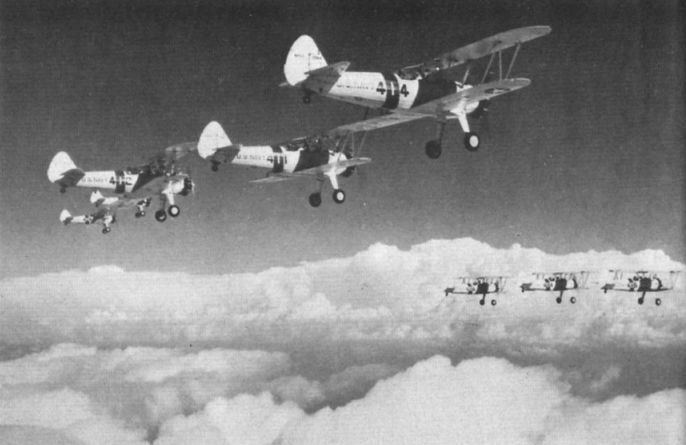 A little-loved Curtiss SO3C-1 Seagull on patrol duty over a convoy. 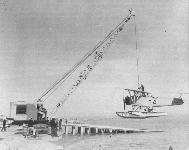 The 600 h.p. Ranger engine proved unreliable. 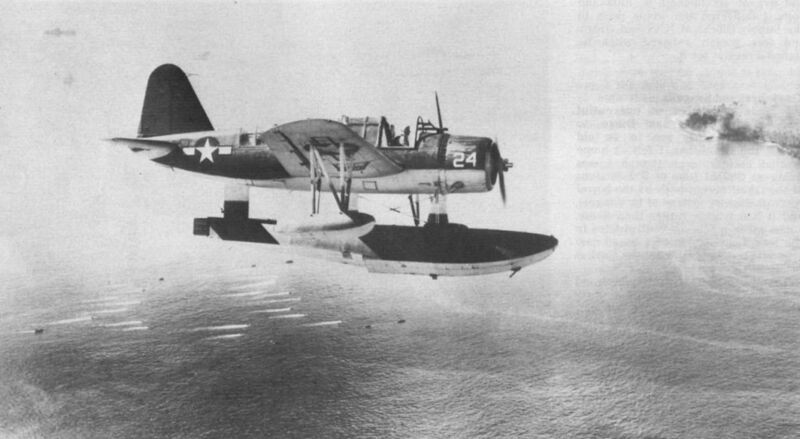 A Vought OS2U Kingfisher is fired from a catapult on a US battleship in 1943. 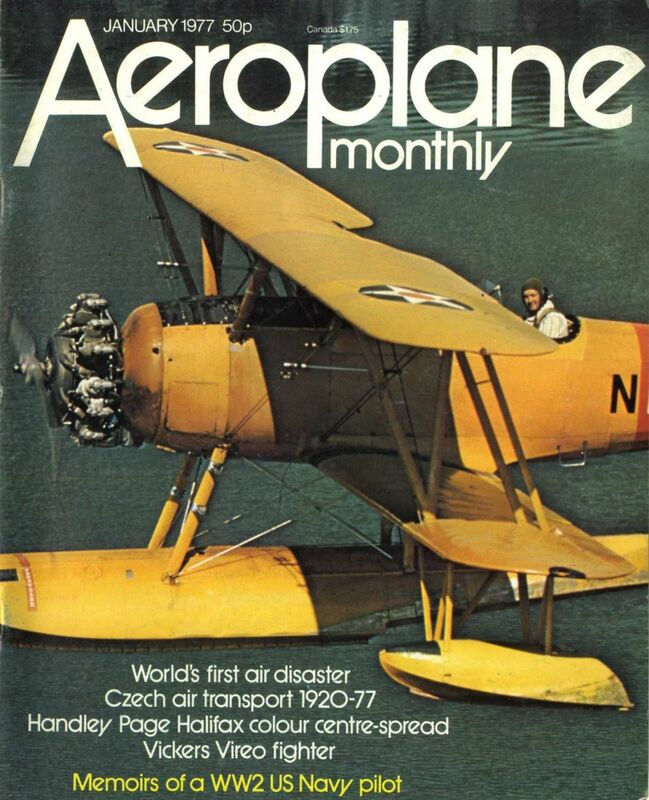 Most of the author’s training was done in this aircraft. An OS2U Kingfisher flown by Lt P. L. Ferber, USNR, performs observation duties during landing operations at Angaw Island, September 17, 1944. 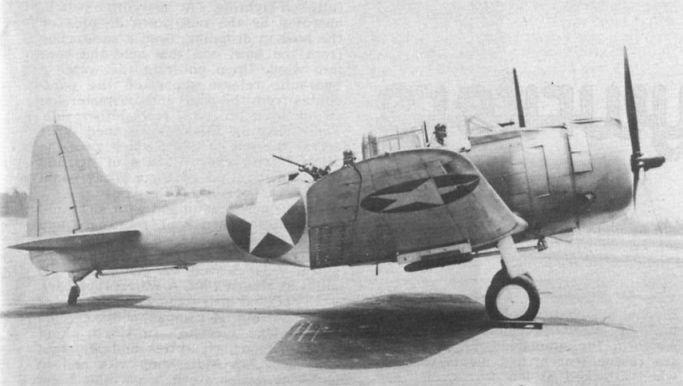 The author underwent his primary training at NAS Jacksonville in Stearman N2S-2 “Yellow Perils" like these from the Instructor’s School at Rodd Field, Corpus Christi, Texas. 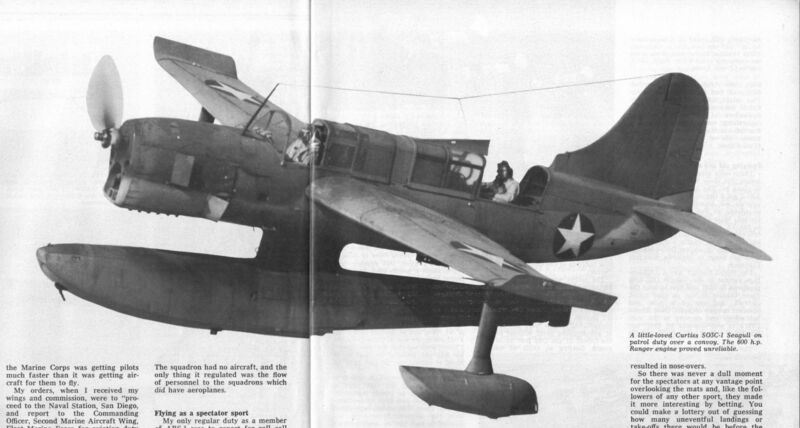 The Naval Aircraft Factory N3N-3 belonging to Tom Ahlers and Fred Niedner. It was in a float-equipped N3N-3 like the one that the author checked out as a seaplane pilot.